Lee Gaul was in some of the best original bands in Windsor in the last 15 years. How about Itzjunk, Golden Hands Before God…, and What Heart? Lee is returning to Phog Lounge on Thursday night and he’s bringing some friends…collaborators, actually. Notes To Self will be making their debut appearance in Windsor, and for fans of good, smart hip-hop, there’s FINALLY a show (apart from D-Sisive) deserving of your attention. Below is a video with the clear collaborating of Gaul and Notes To Self, with Gaul singing the refrain, and repeating the “I wanna” hook throughout. It’s a great looking video, and it’s the only song I feel needs to be shared to sell hip-hop fans on this show. As an aside…local filmmaker, Eric Boucher (of Rose City Sessions) was cinematographer for one of Notes To Self’s videos which I’ll tack onto the bottom of this post. On a purely entertaining note, the next video is an “ad” that simply points out that Notes To Self had their own promotional fitted baseball cap (NewEra 59fifty) with their own logo printed on the front. To me, this is pretty slick. Something to take notice of, since very few are offered this opportunity. 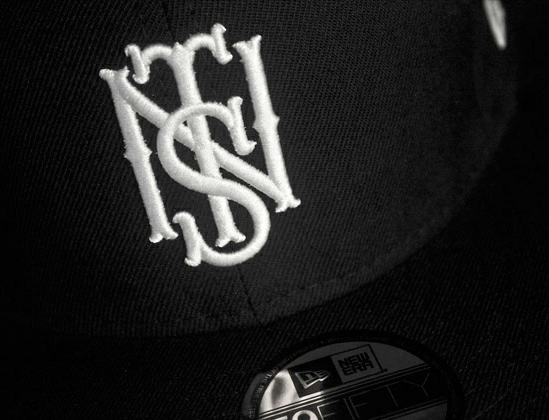 New Era doesn’t just print anything on their brand of hat. I want one so bad, I can taste it. “Wow. Windsorites. Is that the term? Detroitians. That’s definitely not the term. It’s been a long time coming but we’re very excited to be finally playing what CBC called the best music venue in Canada, the Phog Lounge, Windsor Ont. This show is a coming home party of sorts, Windsor/ Detroit being the place where Notes’ frequent collaborator Lee Gaul carved out his folk meets Motown sound his fans have come to love. It also marks the birthday of the legendary skateboard director and Notes to Self “All of the Above” cinematographer Eric Boucher, who will be in attendance, albeit far far drunker than usual. So join us Windsor, we’ve been fans for a long time, we’re amped to finally meet you. Performances by Notes to Self, Lee Gaul. This entry was posted in Uncategorized and tagged D-Sisive, Eric Boucher, Golden Hands Before God, Itzjunk, music, Notes To Self, phog, video. Bookmark the permalink.